Barefoot Baby Steps: Recipe on a Run Blog? No running advice, news, or pictures today. I'm mixing it up for my haters and on the advice of Jason Robillard. 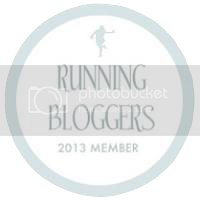 Apparently I don't have exclusive rights to boring running blogs as you can read in his Barefoot Running University post. I have to say, I'm a fan of the general parameters of the Paleo plan...sort of a back to basics approach. If the cavemen didn't eat it, it's probably not for us. No processed foods, no chemicals, no gluten. It's a lifestyle choice that works for me. I've lost weight (back to my high school weight actually! ), increased my intake of fruits and vegetables, and my energy stays up all day...without coffee! As in none, not even in the morning. 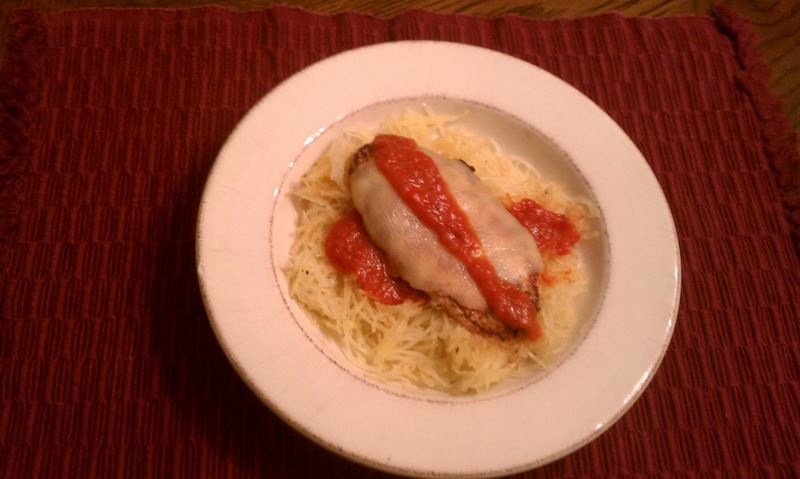 So, for my daughter, I created this Paleo-ish version of Chicken Parmesan. It is a hit in our house, and I hope you like it. Pre-heat oven to 375-degrees. Cut squash in half (long ways) and scoop out the loose insides and seeds. Brush cut sides with olive oil, sprinkle with salt and pepper. Place cut side down on a baking sheet and roast for about 45 mins. You should be able to put a fork through the rind side when it's done. Take out and let cool. While the squash is cooking, combine the chicken and a generous amount of Italian salad dressing in a gallon size Ziplock bag and let it marinate in the fridge. When the squash is cool enough to handle with your hands, take a large fork and rake it through the flesh. You will end up with spaghetti-like strands. Continue until you have nothing left but the shells. Set the "spaghetti" aside and keep warm. In a small saucepan heat up the spaghetti sauce over low heat. Heat about 2 Tbs of olive oil in a frying pan, over med-low heat. Add marinated chicken breast and saute for about 5 mins on one side, flip and saute about 4 mins, add a slice of mozzarella and heat for an additional minute. Pile some squash on a plate, top with a little sauce, add chicken breast and another drizzle of sauce and enjoy! Serves 4, takes about an hour, start to finish, and there will be plenty of squash to make this again later in the week! I hate reality tv. I just happen to love hating your blog as well. This meal looks boring. Thank you, Anonymous, for spending your obviously valuable time reading this post. As for the recipe, the flavor really depends on the Italian dressing (or Italian seasoning) that you choose. Try it, and let me know what you think. I tried your recipe. I hope to make a full recovery. Sorry to hear that Anonymous, hope you feel better soon. Cooking chicken all the way through is Important...maybe you can ask someone to help you next time? I believe "Sorry to hear that Anonymous" and "hope you feel better soon" are two separate sentences. A comma after "that" would also have been appropriate. True on both points. Blogging is a little more colloquial; however, I appreciate your continued interest.